well, you’ll have to just trust me on the satisfaction of this project…i hardly took photos. 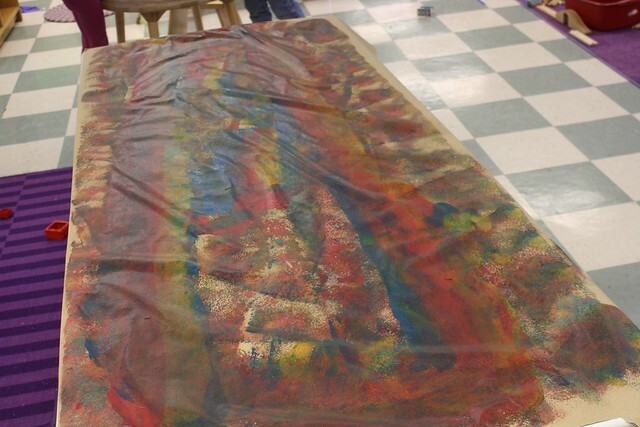 we put three small puddles of paint on the paper (red, yellow, blue). 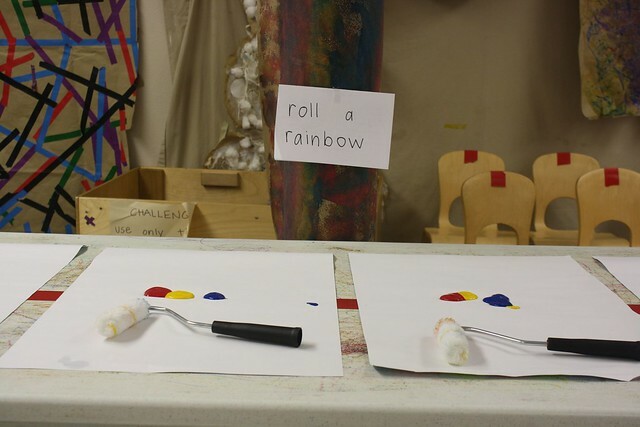 then rolled the rollers to mix colors! in one class we did it as a group and had four at a time walk around the table. in another class we did it individually throughout the morning. very fun and we’ll use those rollers again! Thank you for all the wonderful ideas that you share. The children in your care are very blessed to have you in their lives. 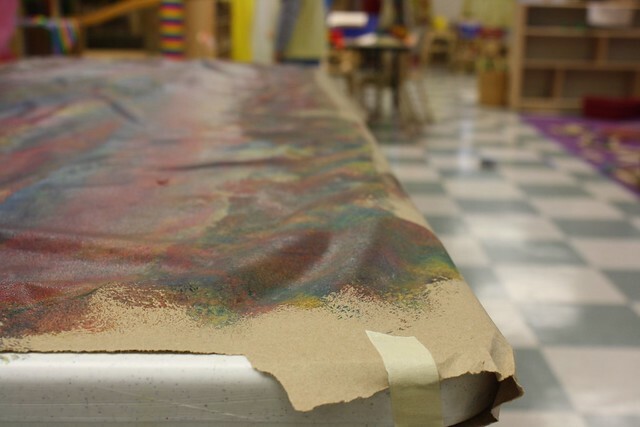 If all the schools were as inviting as yours, our world would be full of very fulfilled and emergent children.